Faculty from a number of departments in the Dietrich School of Arts and Sciences are playing tug-of-war over general education requirements. An amendment brought to a vote at a full faculty meeting on Nov. 17 proposed eliminating one of the exemption pathways for the foreign language requirement. The meeting, which was open to all Dietrich faculty and to students with voting privileges, focused on proposing and voting on amendments to the school’s general education requirements. Faculty members as well as students read their proposed amendments and answered questions from the crowd before all in attendance voted on whether or not to pass the amendment. Absentee faculty could also vote through an absentee ballot, added to the tally after the meeting adjourned. Although some supported the exemption amendment, including chair of the French and Italian Department Lina Insana, several Dietrich school faculty members outside the humanities have since said the change would be detrimental to the quality of other academic programs. The language requirement in the Dietrich School of Arts and Sciences currently requires that students demonstrate proficiency up to the level of two terms’ worth of a foreign language. There are several exemptions to the requirement: Students can pass a proficiency exam, transfer language credits from another approved university or receive an exemption if their native language is not English. Additionally, students who completed three years of a language course in high school with a grade of B or better are exempt — and this is where the faculty members cannot agree. While some want to be sure that students are actually learning languages in high school by focusing on students’ proficiency, others think making it more difficult to get an exemption will weigh down students’ schedules. But the issue might be more symbolic than that, according to Insana — faculty members are mostly split over what some perceive as a difference between STEM and foreign language majors. “Our students get that these majors are better together, and they’re not in competition with each other. Unfortunately, it’s the faculty that don’t understand that quite yet,” Insana said. The high school language exemption is “a big, gaping loophole,” according to Insana. 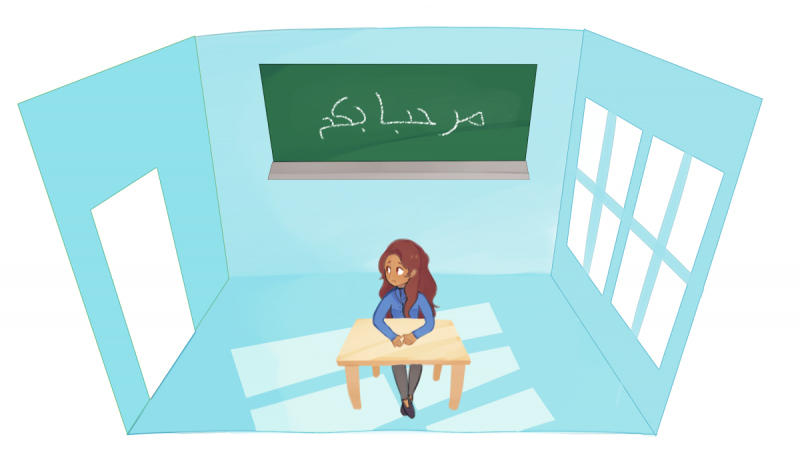 Because Pitt is constantly evolving to accommodate an increasingly globalized world, she and others want to be sure students can actually speak another language proficiently by the time they graduate. There is no standard for the curriculum of high school language classes, so it’s impossible to tell whether students who simply showed up to three years of foreign language classes in high school can actually communicate in another tongue. “They’ve received grades in high school, but they don’t know what that means in the real world. They’ve never studied abroad, maybe never spoken to a native speaker of that language,” Insana said. The last time the faculty modified the general education requirements was in 2001 when they agreed on minor modifications to the standards at an open faculty meeting. The language and exemption requirements themselves haven’t changed since the early 1980s. Most recently, a group of students approached the undergraduate dean in hopes of adding a diversity requirement to Dietrich’s general education requirements, a suggestion students brought up at an October 2015 open forum hosted by the University. A series of full-faculty meetings followed, where David Birnbaum — professor and chair of the Department of Slavic Languages and Literatures — also proposed modifications to the foreign language exemptions. Many faculty members throughout the language and literature departments met Birnbaum’s proposal with resounding support. Randall Halle, the Klaus W. Jonas professor of German film and cultural studies, joined Insana and Birnbaum on the initiative. In other departments, however, faculty members mobilized in opposition to the proposed change. The night before the meeting where the faculty would vote on the amendment, Halle said he received a series of “alarmist emails,” meant for the natural sciences faculty. He spent the evening and following morning responding in hopes of pushing a perspective change on the now-adamant dissenters. Faculty members are concerned that changing the foreign language exemption rules could reroute funds from other departments into the language department, as more students in foreign language classes would require more professors, space and resources. Professor Joseph Grabowski of the chemistry department, who opposed the amendment at the faculty meeting, said changing the language requirement might impact students’ already busy schedules. The amendment, if it had passed, would apply to incoming first years, beginning with the class of 2021. Of the 3,019 first-year students enrolled in the Dietrich School in 2016, 82 percent met the existing requirements and were exempt from a foreign language, according to Grabowski. He said he’s worried the amendment would substantially increase the courseload for all of those students. But Halle doesn’t see the logic in either argument — especially not in the concern over funding. “It’s just strange to me, being confronted with an economic argument to counter an intellectual requirement. Those two things don’t seem to go hand-in-hand,” Halle said. Ultimately, the the faculty vote tallied 62 in favor of the amendment and 67 in opposition, sending the amendment to the Undergraduate Council, a representative group of faculty members and five undergraduate students that evaluates Pitt’s policy revisions and grading regulations. The council will gather more information on the amendment and its implications before reintroducing the proposal at another faculty meeting this spring. Halle, who has a science background himself with a Bachelor of Science in German Studies, rejects any notion of heated conflict between the science and the language arts faculty at the Dietrich school. He was on the advisory council for the 2015-2016 Year of the Humanities alongside faculty from other departments including business, law, health sciences and the natural sciences — and remembers seeing poetry pop-ups in the nursing school and marveling at the initiative’s success.